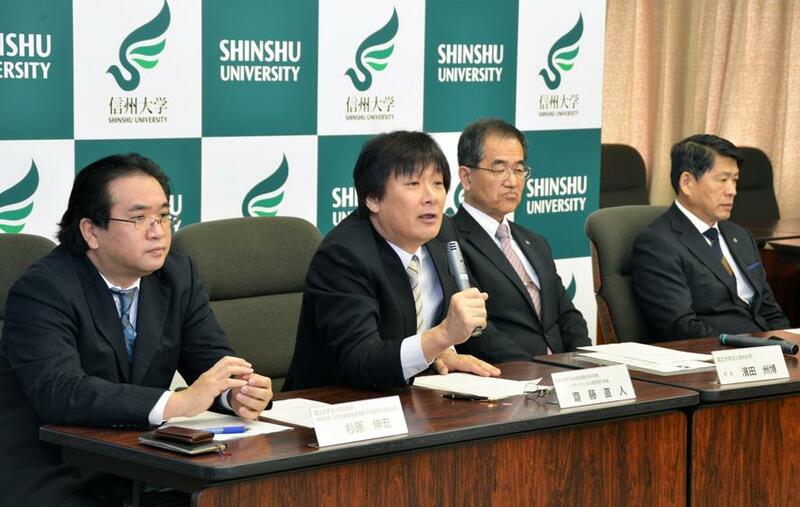 On September 28th, 2017, the framework of the innovative platform, "Creation of a development platform for implantable/wearable medical devices by a novel physiological data integration system ", which was proposed by an industry-academia-government collaboration (4 universities and 11 companies) involving Shinshu University as a core agency, was included in the "Program on Open Innovation Platform with Enterprises, Research Institutes, and Academia (OPERA)", an open innovation program by the Japan Science and Technology Agency (JST). A press conference to announce the exciting news was held at the Matsumoto campus of Shinshu University on October 5th, 2017. OPERA aims to enhance the partnership between industry and academia for the creation of innovative technologies to pioneer new key industries and accelerate open innovation in Japan. The Physiological Data Integration System proposed by Shinshu University will standardize conventions for safety evaluation and springboard new discoveries in bio-implantable/wearable devices of collaborative consortia by aggregating and analyzing the processes and research data of medical devices currently being developed at individual institutions. The platform also includes an educational aspect to develop highly skilled human resources. Shinshu University will create the new academic field of Biocompatible System Engineering, an interdisciplinary field of physiology, clinical medicine, material science, and mechanical engineering, in collaboration with the new Doctoral Program of Department of Biomedical Engineering, Graduate School of Science and Technology.